Claims are up a bit but sales are down a lot. And while most suppliers have reduced accruals proportionally, at least one seems to have taken an accrual holiday. With all the talk about General Motors and Chrysler warranties, auto part suppliers are in danger of getting lost in the shuffle. 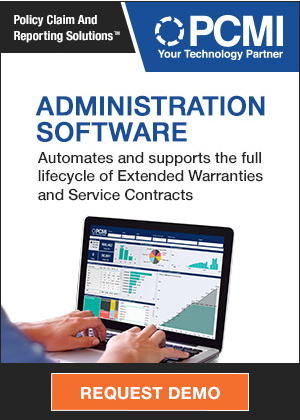 While the governments of the U.S. and Canada have stepped in to guarantee warranty payments by the OEMs to their dealer networks, not much besides some government loans has been offered to help suppliers manage the disruption. Compared to a year ago, vehicle sales revenue is down 47% at GM and is down 45% at Ford Motor Co. Sales are down even more at Visteon Corp. and Delphi Corp., as well as at Wabco Holdings Inc. and at Dana Holding Corp. But warranty expenses are down by less. In fact, they're actually up for major suppliers such as BorgWarner Inc. and Cummins Inc.
As best we can tell at this early point, the aggregate net warranty claims total paid by some 70 top auto part suppliers grew 2.3% to $484 million in the first quarter of 2009, compared to the first quarter of 2008. As a percentage of product sales, however, warranty claims grew from 0.56% of revenue in the first quarter of 2008 to 0.81% of revenue in the first quarter of 2009. That jump, however, is almost entirely linked to the corresponding decline in sales. For instance, if sales go from $10 to $5 and warranty stays at $1, the fraction changes from 1/10 to 1/5 -- and the percentage rate doubles from 10% to 20%. In other words, warranty cost stays the same in dollars but the percentage rate doubles. That, in a nutshell, is what happened to the suppliers in early 2009. We should note that we don't have any fresh 2009 data from Eaton Corp., Illinois Tool Works, Goodyear Tire & Rubber, or PPG Industries. These companies have chosen to report their warranty data only once a year, so we're extrapolating their 2008 data to create place-saving 2009 estimates for each company. Meanwhile, warranty accruals made by auto suppliers fell 22% to $366 million. That makes perfect sense when one considers that product sales fell by 28% to $75 billion. The accrual rate, which should remain relatively unaffected by sales fluctuations, did in fact rise only a bit, from 0.57% in the first quarter of 2008 to 0.64% in the first quarter of 2009. So what you have is a claims rate that jumps 43% while claims in dollars rises only 2.3% And an accrual rate that rises 12% while accruals in dollars falls 22%. The cause for both these curious calculations is an unprecedented 28% drop in the auto supplier industry's product sales over the past year. Now let's look at eight of the top suppliers in detail. Delphi and Visteon, coincidentally enough, are both in the middle of Chapter 11 bankruptcy reorganizations. This hasn't affected their sales or warranty expenses, although Delphi had some claims payment issues to resolve with former parent General Motors Corp. In Figure 1 below, one can easily see that claims are on the upswing, while accruals have remained low. What the chart doesn't show is a 52% decline in sales, which contributed heavily to the claims percentages. Delphi paid $45 million in claims in the first quarter a year ago and $31 million in the first quarter of 2009. But product sales fell from $5.25 billion to $2.53 billion, so the percentage of sales consumer by claims grew to 1.2%. As the blue bars suggest, claims haven't been so low in terms of dollars since early 2007. But as the red line also suggests, claims have never before accounted for such a large share of revenue. The good news is that in the past year, Delphi has kept its accrual rate close to the 0.4% level it was at for 2003, 2004, and half of 2005. Visteon entered into Chapter 11 in late May, so its first quarter financial report was already on file by that point. Visteon UK Ltd., however, filed for what the British call administration on March 31, the last day of the first quarter. So that event did make it into Visteon's first quarter filing. In the UK, a company essentially declares bankruptcy and then outside auditors (in this case, KPMG) come in and evaluate whether there is any hope of reorganizing, or if liquidation is a better option. For Visteon UK, liquidation is the likely outcome. In the U.S., a company initially files for bankruptcy under either Chapter 11 (reorganization) or Chapter 7 (liquidation). Though Chapter 11 proceedings can crumble into Chapter 7 (e.g. Circuit City Stores), the company making the filing decides which to do first. And Visteon U.S. expects to emerge from this process as a "financially sound and well-positioned company," according to CEO Donald J. Stebbins. As Figure 2 below shows, Visteon's accrual rate remains at an elevated 0.4% level, where it's been for three years. Its claims rate, meanwhile, is once again at a relatively high level, and is actually a bit above the peak it hit at the end of 2006. The biggest difference between the 2006 spike and the current spike is in the corresponding sales figures. Back in 2006, Visteon paid $85 million in claims on $11.4 billion in annual sales, for an 0.7% rate. In the first quarter of 2008, the claims rate was at 0.3%, based on $9 million paid on $2.7 billion in sales. In the first quarter of 2009, Visteon paid $10 million claims on $1.3 billion in sales. Therefore, compared to the first quarter of 2008, sales were down 53% while the claims rate was up 135%. The accrual rate, by the way, actually fell, from 0.44% in early 2008 to 0.39% in the most recent quarter. Cummins More Like an OEM? As an engine maker, Cummins has always had a warranty expense pattern more like an OEM than like a supplier. In Figure 3 below, it can be seen how close the company's warranty accrual rate has stayed to the 3% level over the past six years. But it's just as obvious that claims have recently taken off for heights unknown. The reason for the recent spike isn't entirely sales-related, however. Sales were down 30% year over year, but claims were up 23% over the same period. The result was a big jump in the claims rate, from 2.7% to 4.8%. The accrual rate, meanwhile, barely changed at all, falling almost exactly in proportion with sales. Accruals fell from $107 million to $77 million -- a 28% decline -- and the accrual rate barely budged, rising from 3.1% to 3.2%. Johnson Controls elevated its warranty expenses at the end of 2005, when it acquired York International. Before that acquisition, Johnson Controls usually spent around 0.2% of its revenue on warranty claims, while York was usually closer to 2%. Put them together, and by 2007 the combined companies were paying out closer to 0.5% of sales to satisfy warranty claims. In Figure 4, however, it's clear that rates have risen yet again in the last six months to a new plateau around 1.0%. Some of that rise was caused by sales declines. But not all of it. In strict dollar terms, sales were down 32%; claims were up 2%; and accruals were up 28%. In percentage terms, the claims rate jumped from 0.5% to 1.1% while the accrual rate jumped from 0.5% to 0.9%. Sales and claims are things that happen to a company. Accruals are something that a company decides to make happen. So it's telling that even as product sales fell from $15.3 billion in the first half of fiscal 2008 to $10.4 billion in the first half of fiscal 2009, Johnson Controls decided to increase its accruals from $79 million to $97 million. Dana Holding Corp. is the new name of the company that emerged from a bankruptcy reorganization last year. Before that, it was known simply as Dana Corp. The data in Figure 5 includes both companies. Compared to Johnson Controls, there's no massive difference in the before and after data. Claims and accruals have always fluctuated in a non-seasonal pattern, in a range of 0.3% to 1.0%. But then in 2009, Dana's claims rate crossed that one percent line. Sales fell 47%, but claims fell only 7%, from $14 to $13 million in the first quarters of 2008 and 2009. As a result, the claims rate rose from 0.6% to 1.1%. With Cummins and Johnson Controls, it's clear that claims have recently risen both in dollar and in percentage terms. With Dana, however, the claims data seems relatively stable over time, suggesting that the fluctuations have more to do with sales. And because sales have fallen so far this year, a relatively low amount of claims has produced a relatively high claims rate. At ArvinMeritor, the company has seen a recent fall in claims as measured in dollars, as suggested by the notch seen in data for the two most recent quarters in Figure 6. But because sales also fell, the percentage rates were relatively unchanged. In numbers, sales fell 28% in the most recent half-year, while claims fell from $34 million to $19 million over the same half-year period. The claims rate at the end of the first quarter of 2008 was 0.99%. At the end of March 2009 it was 0.77%. The accrual rate rose marginally. In other words, had it not been for the decline in sales, ArvinMeritor would no doubt be celebrating a reduction in its warranty expenses. Warranty expenses fell faster than sales, but nobody's in a mood to celebrate. Despite quite a bit of non-seasonal fluctuation, TRW Automotive has reduced its warranty expenses for multiple years. But as Figure 7 suggests, most of that progress was undone by a recent drop in sales. Sales fell 43%. Accruals fell 23%. But claims fell only 6%. In percentage terms, the claims rate rose from 0.43% to 0.71%, while the accrual rate rose from 0.31% to 0.42%. The latest accrual rate is the highest since 2007, while the latest claims rate is the highest ever (or at least since the company began releasing figures in 2003). The amount paid out in claims per quarter has also fluctuated in a non-seasonal pattern, rising as high as $18 million and falling as low as $9 million per quarter over the past 12 quarters. In other words, both sales and warranty expenses are contributing to the volatility, though sales accounts for the bulk of this most recent spike. Finally, we wanted to take a look at BorgWarner. Ironically, BorgWarner is the only one of the eight companies to clearly announce a reason behind a spike in warranty costs. But that happened two years ago. And, as the rise and fall in accrual rates in Figure 8 suggests, it was identified and it was largely solved. The more recent spike in claims is just one of those things. A year ago, BorgWarner spent $6.7 million on claims -- a bit of a trough compared to the $19 million peak in the fourth quarter of 2007. In the first quarter of 2009, the company reported $15.3 million in claims, a 128% increase. Combine that with a 45% drop in sales and you have a more than quadrupling in the claims rate, from 0.4% in 2008 to 1.9% in 2009. But that's not the part that worries us. Because of the color scheme and the scale in the chart, it's somewhat hard to see what happened to accruals over the same period. Plainly stated, they fell to a rate close to 0%. In the first quarter of 2009, BorgWarner set aside only $200,000 in warranty accruals, on sales of $820 million. A year ago, it set aside $10.1 million on sales of $1.5 billion. The accrual rate a year ago was therefore 0.7%. This year, the accrual rate was 0.02%, a decline of some 96%. In dollar terms, accruals are down an even more massive 98%. The only other auto suppliers that came close to that sort of accrual decline in the past year were Valspar Corp. and Snap-on Inc. And neither of them saw claims quadruple. Interestingly, BorgWarner declared operating income of $5.5 million in the first quarter of 2009, an amount that would have been negative had the company made its usual eight-figure warranty accrual during the period. How fortunate that accruals were cut just in time to avoid an operating loss! But we're not sure that's what's going on here. Perhaps it's nothing more than the company applying the brakes, if you'll pardon the pun, after accelerating accruals a bit too much late last year? In the fourth quarter of 2008, the company set aside nearly $31 million in warranty accruals, more than three times what it set aside in any other quarter last year. Could it simply be compensating now for that recent over-accrual with this under-accrual? Bankruptcy court lets Fleetwood Enterprises sell assets to American Industrial Partners. Can health care come with a warranty? Grand jury indicts Thomas J. Kline for warranty fraud involving SonicWall firewall devices. Office Depot to offer data recovery services by DriveSavers at retail locations nationwide. Panasonic to open warranty call centers in the United Arab Emirates, Iran and Lebanon. MaintenanceNet Inc. appoints Andrew Bray as its new EMEA business manager. Canadian Solar to offer six-year product warranty instead of two-year. Garmin offers GPS software update to fix a software issue that inadvertently disabled devices. Pennsylvania joins 36 other states in filing objections to the GM bankruptcy proceedings. Arkansas attorney general sues two more companies over calls about car warranties. Lee Iacocca & Gaffoglio Family Metalcrafters to reshape 2009 Mustang into a sleek fastback. What do you do when you discover your computer is one of the many orphaned by MPC? Reporter calls for shorter mattress warranties, but warranties get longer anyhow. Chinese drywall may be biggest environmental crisis to hit homeowners and builders in decades. Lexus, Porsche, Cadillac, Hyundai and Honda top J.D. Power 2009 Initial Quality Study. Squeezing repairs out of California's Lemon Law, the Song-Beverly Consumer Warranty Act. Service USA Inc. selected as a national field service provider for OEM Warranty Risk Inc.
Ohio attorney general wants details from GM on lemon laws and extended warranty coverage. SquareTrade survey finds 10% of iPhones malfunction while 20% suffer accidental damage. The Warranty Group launches "Try Our Expert" service contract training program in auto dealerships. Better Business Bureau & NY senator take aim at lower credit card interest rate robocalls. Arrow Truck Sales offers 4-yr/400,000 mile engine warranty option on pre-owned Volvo trucks. Crest Pumps doubles the warranty period on all new chemical pumps to two years. CBC series questions sales tactics of Furnasman's One Hour Heating and Air Conditioning. Leasing companies struggle with unpaid warranty claims after collapse of UK van maker LDV. Former General Re executive John Houldsworth gets two years of probation for fraud. Verizon Wireless & OnStar step up the fight against illegal auto warranty telemarketing. Meineke Car Care Centers support Right to Repair Act; will sell vehicle service contracts. GM car warranty confusion leaves consumers and dealers in the dark. Crest Pumps extends warranty period on new chemical pumps to two years. Voice Touch Inc. owners ran warranty telemarketing business out of Daytona Beach home. Enterasys/Siemens Enterprise Communications selects SigmaQuests OnDemand SigmaSure software. Gateway and MPC send collections agent after high school that got partial order, no warranties. Ex-employee of Transcontinental Warranty spills the beans to the FTC. Four of the people behind the massive expiring car warranty robocall scam. Select Kitchens liquidated, leaving subcontractors unpaid and customers without warranties. GEs Stimulus Simplicity program to issue electronic medical records certification warranties. Bollinger Motors ends 95-year run as a Dodge dealer, feels betrayed by the company. Owner of Bob Thomas Car Co. asks U.S. Congress why his GM dealership was terminated. Darner Chrysler franchise terminated after 56 years selling Plymouth, DeSoto, Jeep and Chrysler. Columnist helps consumers resolve their appliance, TV and computer warranty problems. Best Buy to offer Apple's iPhone 3GS with Geek Squad's Black Tie Protection plan. Texas attorney general says new GM dealership agreements may limit warranty claims. Has bankruptcy become a competitive advantage for Chrysler or GM? Quiet PC offers two-year product warranty in anticipation of UK adopting EU rules. Reporter gets a free replacement of iPhone headphones he didn't know were under warranty. FieldTurf raises the annual limit on its prepaid warranty insurance policy to US$13 million. Outgoing Chrysler CEO touts "lowest warranty cost in the company's history" in farewell. Good Sam Club proposes model legislation for a motor home lemon law. New Oklahoma lemon law replaces its much-maligned 1985 ancestor. Louisiana Senator Julie Quinn's Chinese drywall bill diverted to second committee. LDV says it will no longer pay its dealers for warranty work on Maxus vans. Nortel introduces a lifetime warranty for its stackable Ethernet Routing Switch product line. Navistar says unanticipated warranty costs helped drive down profits in the second quarter. Soon-to-be-former Chrysler dealers scramble to unload vehicles. Homeowners with toxic Chinese drywall have gotten no help from builders or insurance companies. Warranty Hero helps track product warranties and keep records of purchases. Royal Buick dealership, dropped by GM, to do warranty work through Oct. 31, 2010. Bankruptcy court lets GM remain in Better Business Bureau's Auto Line program. Author shares concerns over warranty provisions of Hurco Companies Inc.
OEM Warranty Risk Inc. to provide warranty services to a major surge protection product supplier. Obscure EU directive helps consumers get refunds up to two years after the sale. MetricStream and SigmaQuest partner to deliver product quality management solutions. Maytag puts couple through wringer in warranty claim. GM sales grow in China and India, largely unaffected by the U.S. bankruptcy case. Consumer groups say Chrysler bankruptcy decision undermines lemon laws in 25 states. NADA chief says GM is manipulating bankruptcy process to eviscerate state franchise laws. Volvo Cars of North America lengthens warranty to 5 years/60,000 miles through June 30. New Flyer Industries uses 4CS iWarranty to reduce warranty claim cycle by 50%. General Motors board of directors authorizes the filing of a chapter 11 case. GM assures consumers that warranty coverage on its vehicles will continue without interruption. General Motors reaches agreements with U.S. Treasury and the governments of Canada and Ontario. GMs Service and Parts Operations to close in Boston, Columbus OH & Jacksonville FL. Federal bankruptcy judge approves sale of most of Chrysler's assets to Fiat. Magna International Inc. achieves "a constructive solution" for Opel. Mitt Romney: GM should have gone bankrupt in November. Australian government expects Holden to remain safe during GM restructuring. UK Motor Industry Code of Practice for Vehicle Warranty Products gets initial OFT approval. Warranty Direct to follow UK's Code of Practice for Vehicle Warranty Products. A.M. Best downgrades American Resources Insurance Company Inc. to B- (Fair). Chubb's Masterpiece GreenWise Upgrade will pay difference in eco-friendly upgrade projects. General Motors gets support of 54% of the bondholders for "363 Sale Proposal." Q & A: What happens to my warranty if GM files for bankruptcy?